What a difference a week makes. The Hoosiers came out with the fight and effort they needed to pull off the upset of the 18th ranked Missouri Tigers 31-27. The Hoosiers were in control most of the game and headed into half time tied at 17. The Hoosiers took a 24-17 lead into the fourth quarter, but after Missouri tied things up with 13:20 left in the game it looked as if the Hoosiers may lose another heartbreaker. Missouri took a 27-24 lead with 2:20 left in the game on a 40-yard field goal. This is exactly what the Hoosiers wanted though, the ball in the hands of the offense with a change to win the game. Indiana drove 75 yards capped off with a leaping touchdown from D’Angelo Roberts. Why They Played: The Hoosiers and Tigers closed their home-and-home series in Columbia as part of a scheduling campaign that looked to increase the degree of difficulty for the Hoosiers. Redemption. That is what this game meant for the Hoosiers. 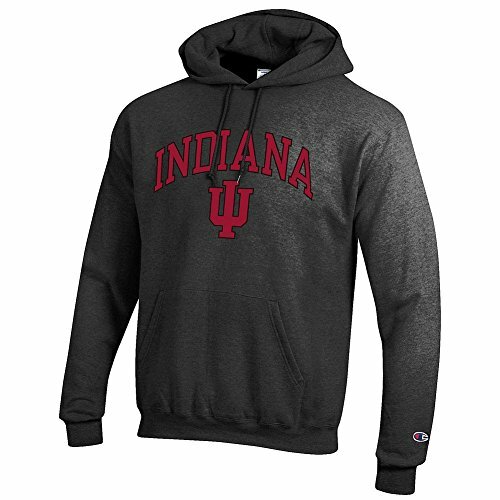 It was a chance to win back some favor from the IU faithful and get back on track for 2014. D’Angelo Roberts, RB, Indiana- While his stats may not jump off the page at you, the senior was key in the Hoosier victory. He racked up 80 total yards and two touchdowns including the game winner. Roberts eased the loss of Tevin Coleman in the first half and has really become a difference maker for the Hoosiers. Tevin Coleman, RB, Indiana- Things did not look good for the jewel of the Hoosier backfield as he left early in the first half with what has been called cramps. However Coleman finished with 132 yards on just 19 carries and he did find the end zone for the 12th straight game. Bud Sasser, WR, Missouri- The Tiger wide out hauled in 11 catches for 142 yards as he made big play after big play for Missouri. Mark Murphy, Safety, Indiana- Murphy was another senior who put his stamp on this game. He recorded five tackles including one for a loss and picked off a pass. The Hoosier defense is much better when he plays big. Shane Ray, DE, Missouri- Missouri has one of the best defensive lines in the country and Ray had a big game for the Tigers as he recorded six tackles, two for a loss including a sack. The good news for Indiana is that punter Erich Toth had an excellent game. The bad news is that Aaron Del Grosso continues to struggle on field goals, and was replaced by Griffin Oakes after missing a 40-yard field goal. Oakes hit both of his extra points and had three touchbacks on his kickoffs. Placekicking is an issue that the Hoosiers have to fix as soon as possible. It did not burn them today, but they are playing with fire in close games. The Missouri streak of 47 games with forcing a turnover is over, thanks to a Hoosier offense that did not put the ball on the ground Saturday, a major reason why IU emerged victorious. Can the turning point really be as simple as a false start on third and seven? Yes, yes it can. With Missouri driving late in the game for a go ahead score Brad McNulty jumped early. The next play was an incomplete pass and Missouri would have to kick a field goal that put them up 27-24 with 2:20 to go. This was more than enough time to allow the Hoosiers to march 75 yards for the game-winning touchdown. When Marcus Murphy was brought down with no time left on the clock. Hoosier fans know all too well that this game was not sealed until the clock read all zeros. Indiana– Defense and Running Backs- The Hoosier defense played aggressive and nasty all day. The unit recorded 11 TFL’s and forced a turnover. This is the energy they need to play with in order to turn out performances like this. Another unit that stood out today were the running backs. Tevin Coleman, D’Angelo Roberts, and Devine Redding combined for 246 yards and three touchdowns. Redding and Roberts came up with some great plays while Coleman was on the sidelines with cramps. Missouri- Maty Mauk- The Tiger quarterback had a very solid day throwing for 326 yards and three scores. He was under duress all day and made some very remarkable plays to keep some drives alive. This was about the biggest win for the Hoosiers since the 1980’s. They showed grit going on the road and knocking off a top 20 team. This is the win that Hoosier fans needed to believe that there has been some improvement in this program. The victory also gets the Hoosiers back on track for the season. Indiana did some great things on both sides of the ball and really played a great game on the road in a tough environment. The offense was pretty good running the ball and more importantly they kept the ball off the ground. The Hoosier defense took last week’s effort personally and put forth their best effort of the young season. Now Indiana has to build on it. They must come out on fire at home against Maryland and start the Big Ten season on the right foot, but for one Saturday night Hoosier Nation can celebrate a major win for their football program.